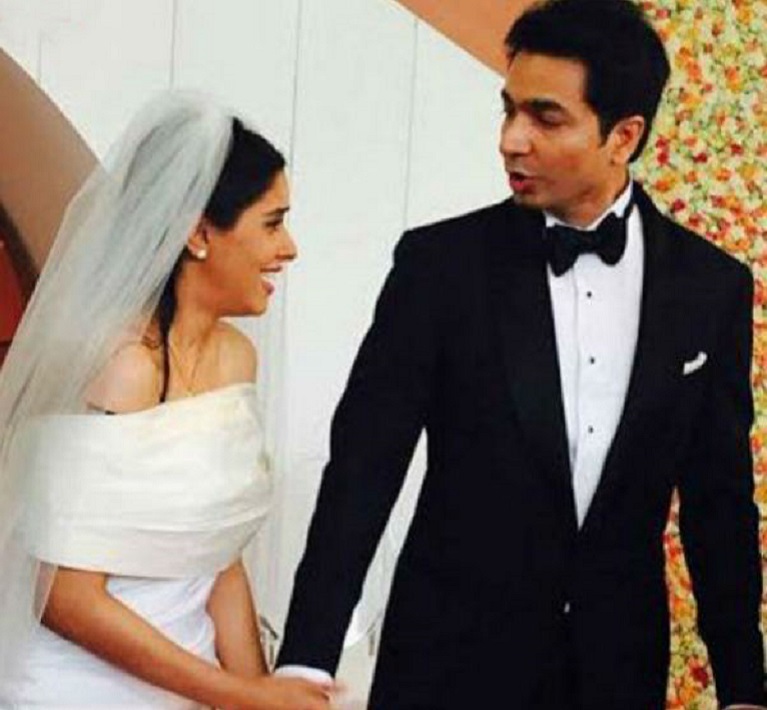 Actress Asin Thottumkal on Tuesday exchanged wedding vows with electronics company Micromax founder Rahul Sharma in a closely-guarded ceremony. The couple married as per Christian rituals at the Dusit Devarana hotel here in the morning, and another celebration is in the pipeline later in the day. Bollywood star Akshay Kumar, the best man and the groom's close friend, was present for the wedding, which was attended by only close family members and friends of the couple. The security for the wedding was tight and the hotel staff didn't allow any outsiders or "unknown people" inside the premises. Asin is primarily known for her work in the southern film industry. Her popularity went a notch higher when she made her Bollywood debut with Aamir Khan starrer "Ghajini" in 2008. Akshay, who worked with Asin in "Khiladi 786 - Made in Punjab" and "Housefull 2", is said to have played Cupid between Asin and Rahul. And he was the first one to receive their wedding card.